Welcome to the Thailand Achievers Holiday Catalogue Sneak Peek! One of the perks of being a demonstrator is that we have the opportunity to purchase products before they are released to the public. 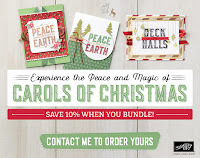 The holiday catalogue is GREAT and we want to share just some of what you will be able to order come September 1st! 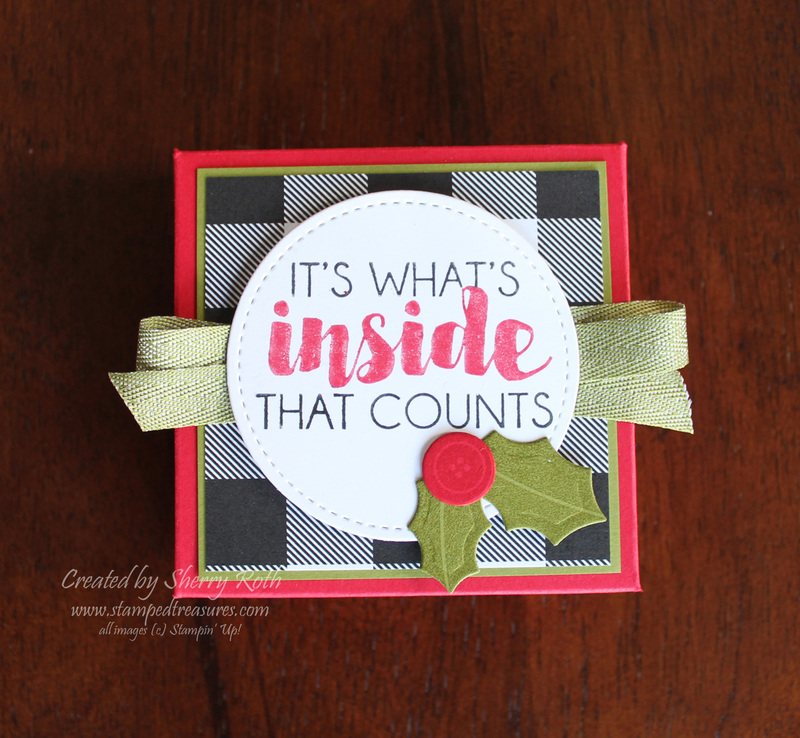 I've chosen to showcase the Tags & Trimmings bundle by sharing a cute 3x3 box and a few little tags or mini cards to go inside. 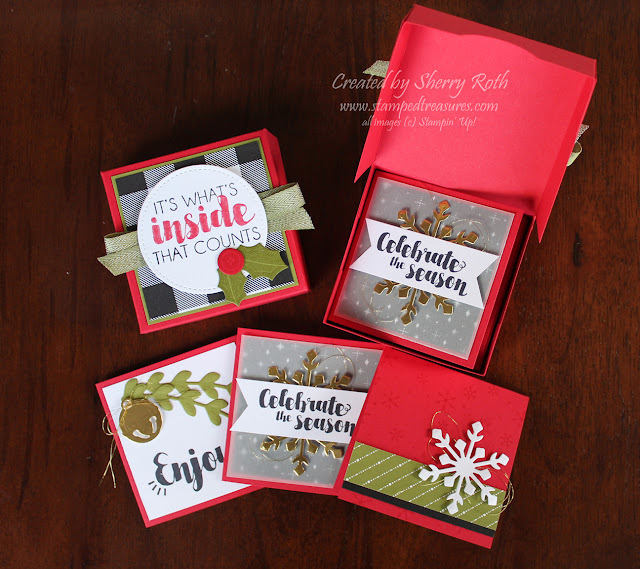 The box fits 3x3 cards perfectly but you could also use it as a gift box, to share treats or even a homemade cookie! 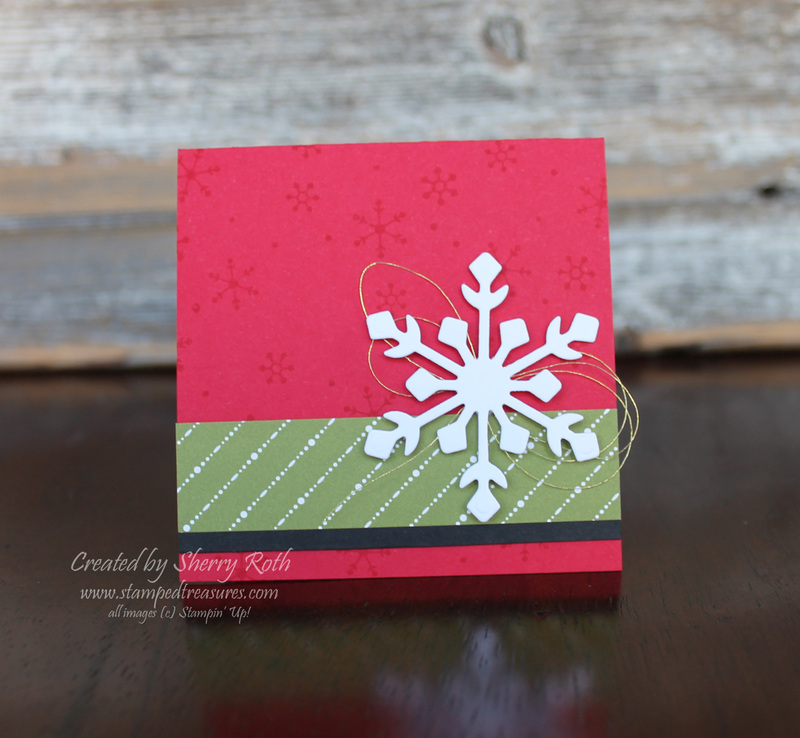 I've combined the Tags & Trimmings bundle with the Merry Little Christmas dsp which is old olive, black and white. 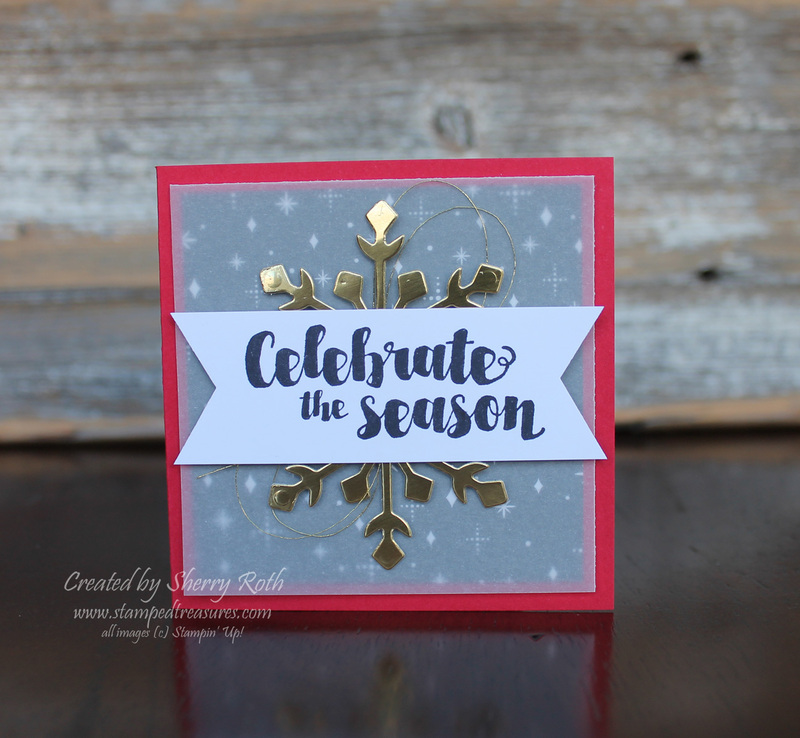 Adding the real red cardstock just makes everything pop! The box was inspired by one created by Sam Hammond a demonstrator from the UK. I shared another version of this box in this blog post and you can find a video on how to create the box here. And here's a closer look at each of the little cards/tags. I love making little 3x3 note cards. They are perfect for attaching to a gift or writing a little note. And they are so quick and easy to make! I've included a full supply list at the end of this post. 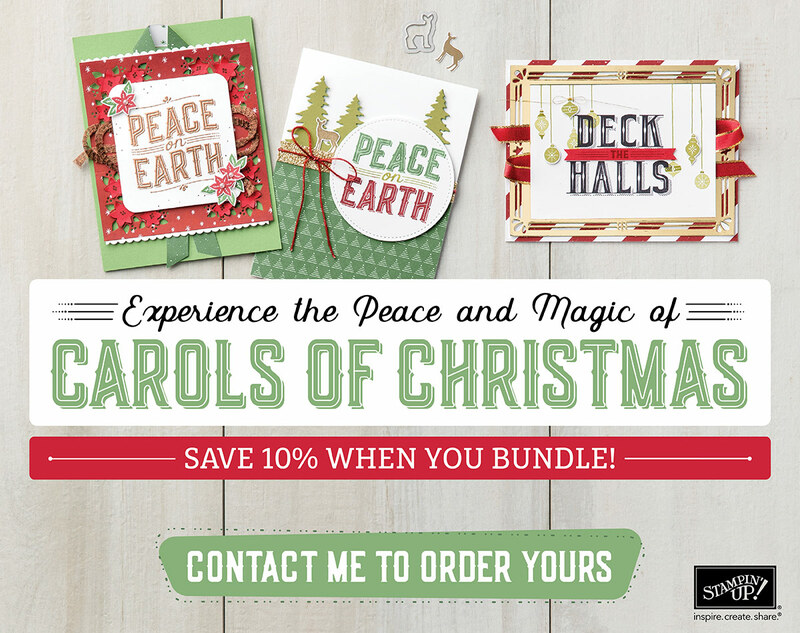 The first few items are from the Holiday Catalogue and, unless you are a demonstrator, aren't available to order until September 1st. Thanks for taking part in our blog hop, there are so many amazing ideas and inspiration you don't want to miss. 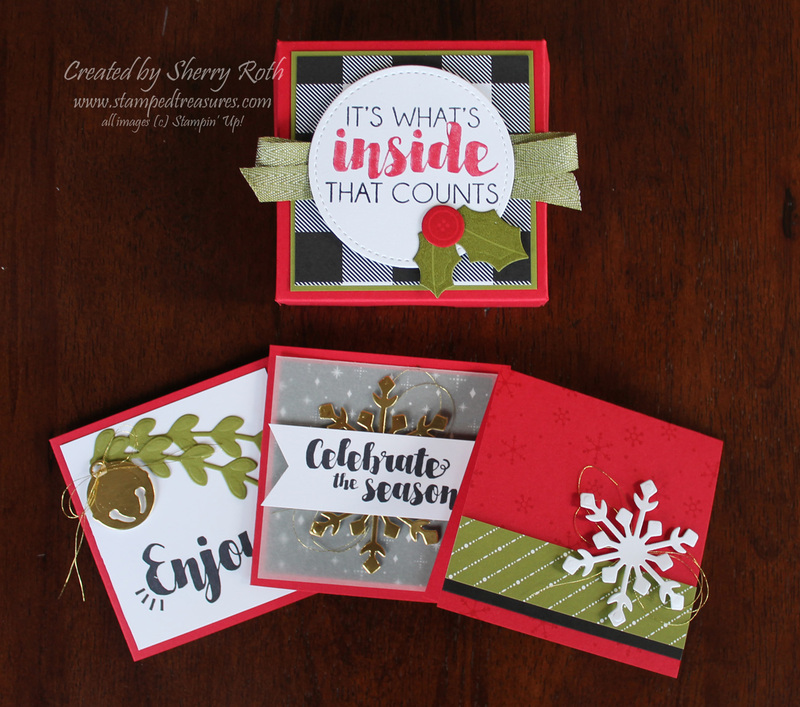 Remember that currently you are at my blog - Sherry Roth - Stamped Treasures - so check the blog hop line up list to see who is next in the list. I hope you enjoy a little peek into what's to come.